U is for the UNIVERSAL pain we share. R is for the ROUGH road ahead. V is for the VICTIM we once were. I is for the INSIGHT we have gained. V is for the VICTORIES we will win. O is for the OTHERS that still suffer. R is for the RECOGNITION of our struggles. S is for the SURVIVOR in all of us. Posted in Uncategorized and tagged poem, Sexual abuse, survivors. Bookmark the permalink. Thunder sounded like bombs being exploded. Lightning streaked down, sizzling and dangerous from the sky as its deadly bolts slammed into the ground outside my bedroom walls. Sheets of rain pounded against the windows as though wanting to enter and drown me. Wind whipped through the tree branches ripping them from their trunks. Suddenly it stopped. An eerie silence hung mysteriously. Not even a bird chirped. The clock ticked loudly in the silence. I knew. I knew what was about to come and then it came. As the hail pounded against the roof, blasted horizontally against the windows I ran. Grabbing my Bible, my purse, and my dogs I ran to my walk-in closet. Cowering beneath the skirts, shirts, and slacks tears streamed down my face. Gasping from the sobs that forced their way past my lips as the wind howled outside I cried out to God. God I don’t want to die hating my Dad! It seemed like all of my life I hated the man who was suppose to nurture me, keep me safe, feed me, clothe me, educate me, and raise me to love God and others. Instead he violated me, taught me to lie, to sneak about in the dead of night, to depend on myself and not scream or ask for help. He taught me to feel guilt when I was not the guilty one. He taught me to distrust any who got near. He taught me shame and that I was nothing; not in his eyes or God’s. God, I don’t want to die hating my Dad. As the tornado warning horns blared loudly through the trees the Lord said to me, “I want you to forgive your father. Not here in this closet. I want you to go to him tomorrow and forgive him to his face.” I agreed and sighed a sigh of relief when the warning horns finally stopped and I was able to leave the confines of my closet. I parked my car under the large Oak tree and began walking across the pasture toward my Dad’s front door. “What do I say, Lord?” I asked as I approached the front door. “I will speak through you. Trust Me child.” The door opened, in more ways than one. I had confronted my Dad once before many years previously. When he said those same words to me at that time, I lost it! I went bolistic and screamed, cussed him, shook my finger in his face, and got nowhere except hating him more. He sat like a stone on the chair and listened. He ignored my pain and then got up and walked out with an air that he did no wrong and it was all my fault. The Lord, and me, calmly waited for his reply. “Well I must have been drunk and didn’t know what I was doing!” was my Dad’s next excuse and with each excuse the Lord very calmly confronted him with the truth. When the excuses ran out silence filled the room. I looked across the table at this man I called Daddy and for the first time I really saw him. 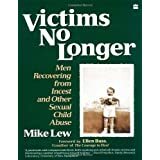 I was looking at an 85 year old man who had been physically and emotionally abused by his own father, sexually abused by his Dad, abandoned on a street corner and left to care for his mother and seven younger siblings at the age of seventeen. I saw an old man who didn’t know how to accept love or give love. I saw a man who had been given over to the enemy by no fault of his own. My Dad sat sobbing. Through his tears he, for the first time ever, apologized for all the hurt he had caused me. And then the real kicker came. The Lord showed me that it is those we love the most that are the ones who can shatter our hearts into a million pieces. I never dreamed there was an ounce of love in my heart for this man I called Daddy. With God’s peace beginning to flow through me I cried all the way home. Now be still and ask the Holy Spirit what He wants to say to you. May be purchased at http://www.elahministries.com through PayPal. Posted in Uncategorized and tagged confrontation, forgiveness, peace., Sexual abuse. Bookmark the permalink. A slave of victim status. Posted in Uncategorized and tagged Christian, Frank Ochberg, poem, Psalm, Survivor, victim status. Bookmark the permalink. How are you? I just had to send you this letter to tell you how much I love you and care about you. I saw you yesterday as you were walking with your friends. I waited all day, hoping you would walk and talk with me also. As evening drew near, I gave you a sunset to close your day, and a cool breeze to rest you. Then I waited, but you never came. Oh yes, it hurt me, but I still love you because I am your friend. I saw you fall asleep last night, and I longed to touch your brow, so I spilled moonlight upon your pillow and your face… Again I waited, wanting to rush down so we could talk. I have so many gifts for you. You awakened late this morning and rushed off for the day. My tears were in the rain. Today you looked so sad, so alone. It makes my heart aches because I understand. My friends let me down and hurt me many times, but I love you. I try to tell you in the quiet green grass. I whisper it in the leaves and tress, and breathe it in the color of the flowers. I shout it to you in the mountain streams, and give the birds love songs to sing, I clothe you with warm sunshine and perfume the air. My love for you is deeper than the oceans and the biggest want or need you could ever have. Posted in Uncategorized and tagged Jesus, love letter. Bookmark the permalink.